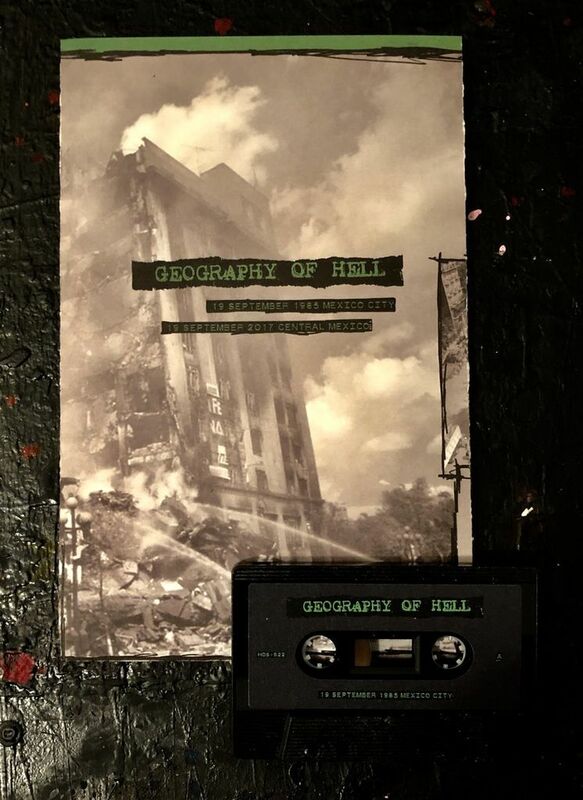 New cassette by cult industrial collective from the Hospital Productions roster, Geography Of Hell, dealing with the crisis at hand. Oversized format with foldout poster. A healthy portion of the proceeds go to AYOK Civil Society Volunteer Organization for Earthquake Relief in rural Mexico.